What Was Rick Nash Thinking When He Hit Tomas Kopecky? It has become the bane of so many. Hit X got this but Hit Y was identical and received nothing. The problem has driven people (fans, media, players, coaches, etc.) bonkers for decades. However, with the advent of social media, this outrage or discussion has taken on new levels of lunacy or fierce debate. This really depends on your prospective and feeling on the issue. The bottom line is why not take a bit of a humorous slant on what happened Thursday night in New York between Rick Nash and Tomas Kopecky. There are an extensive amount of tweets that we have been compiling but first there was the actual hit which started this whole mess err debate. There are an extensive amount of tweets that we have been compiling but first there was what Brendan Shanahan had to say which I am sure might have fanned the flames on this story just a little bit. Here is a special hat tip to Puck Daddy for this. “The commentators have too much of a fascination with ‘did you leave his feet?’ We don’t suspend for leaving your feet. We suspend for leaving your feet and hitting a guy in the head violently,” he said. So then there is the fact that Alex Edler is receiving a hearing for a play that probably was less malicious to most on Friday evening. UPDATE (9pm ET Friday): Edler did receive a two game suspension (the same amount as Lupul). The video does show Nash pushing Kopecky down. No one can really say what the intent was. However, what is clear is that Rick Nash did not exactly make every effort to get out of the way. Funny, Edler may be suspended for that and Nash gets a pass (apples and oranges debate in this case). We asked for a little commentary via Twitter as to what people thought of the hit, the backlash, etc. Then we also asked what Rick Nash was thinking. Here is a small sampling and then later in this piece, there will be more. With Rick Nash not even getting a hearing for a blatant blindside headshot, I'm setting the over/under for Alex Edler's suspension at 2 gms. Even more surprised he won't be suspended. Love Nash, but it was a dangerous hit and he left his feet. Wow! Those are just three of many tweets that have come across our desk. The opinions run the gamut of course and then there is just the sheer outrage of some from Toronto. While it is of the wide opinion, Nash should have received something, but now did Joffrey Lupul go too far? Remember, Lupul received a two game ban for his hit on Victor Hedman the other night. The answer is probably no but……. If someone can explain the decisions on what warrants a suspension and what doesn't, please let me and the rest of guys know..
All in all, the rest of this is all humorous. The bottom line is yes there is outrage and some anger still but now it is done. When you look at why people do things, the myriad of reasons exists. First, the best response was from Litter Box Cats by a post named Mario. It is titled “The Most Interesting Slovak In The World”. Enjoy the link. Again the question we have posed in some communities and throughout social media is “What Was Rick Nash thinking”? Then we went down to Florida and that is when the fun really began. The slew of comments we took in were something amazing and mind you this was all in just 20-30 minutes. Somebody slap a helmet on this guy and give him $7.8M. Does this leave anyone else wondering what it would take for someone like Crosby to get suspended? Only if he Bertuzzi’s someone… and even then it’d only be a game or two. 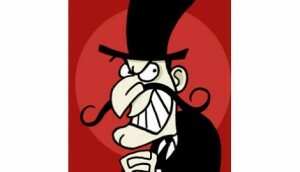 Attach his skates to his stick and swing it around like a War-Axe, lopping off heads left and right…….. But, Shanahan would probably still say point of contact wasn’t technically the “head”. I thought we were doing pirouette practice, give me my space Kopy, the lead ice dancer always takes the center space. Flash 20G, Mueller 20G and Weiss is a Panther 2013-2014 season. That was just a snapshot. Think of all the material that was edited out for a second. Our photos err creations come from Josh Smith, who you may know here on The Hockey Writers rather well. Let’s take it away……..
All in all we have been promised more images and naturally if you ask for more, you shall receive. 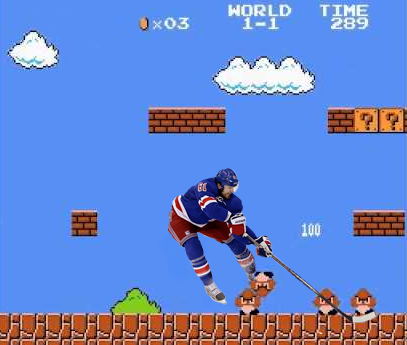 In this case, we have more from the Rick Nash Super Mario Brothers Collection. Here is image number two. Wow! Just when you think it could not get any better. 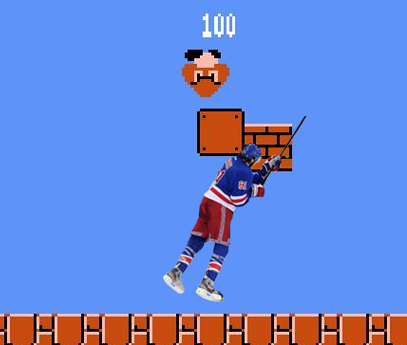 Rick Nash drops a Koopa for some coins. Something tells me that Nash could probably beat this game in two to three minutes tops as he is that talented. Do not worry, we have even more from the video game genre. This one may be really familiar too. At this point the mind is just blown. I had no idea Mike Tyson’s Punchout would be involved in all of this. 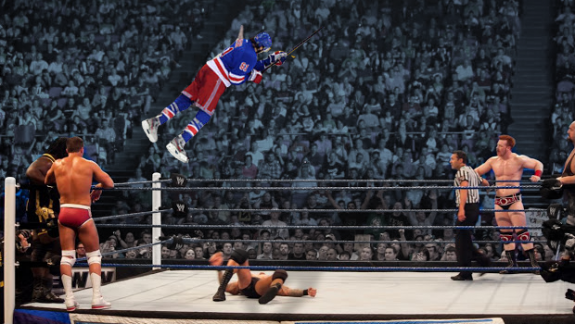 Clearly Rick Nash has gone out of control. Will anyone stop him? Is there anyone that can? Finally, there was this……. Okay that is it! 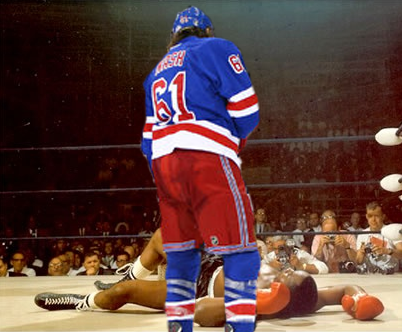 Rick Nash drops Ali? This clearly has gone too far. 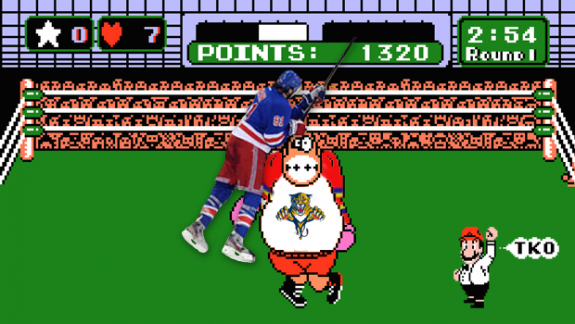 Clearly Kopecky was not enough for the Rangers forward. Is there anything he won’t do now? Anything at all? I stand corrected! Ladies and gentlemen I am done here. Rick Nash clearly was thinking so many different things when he hit Tomas Kopecky. Thank you again and who knows when we will ask what the hockey player was thinking when he hit that player. Stay tuned! That is all for now.